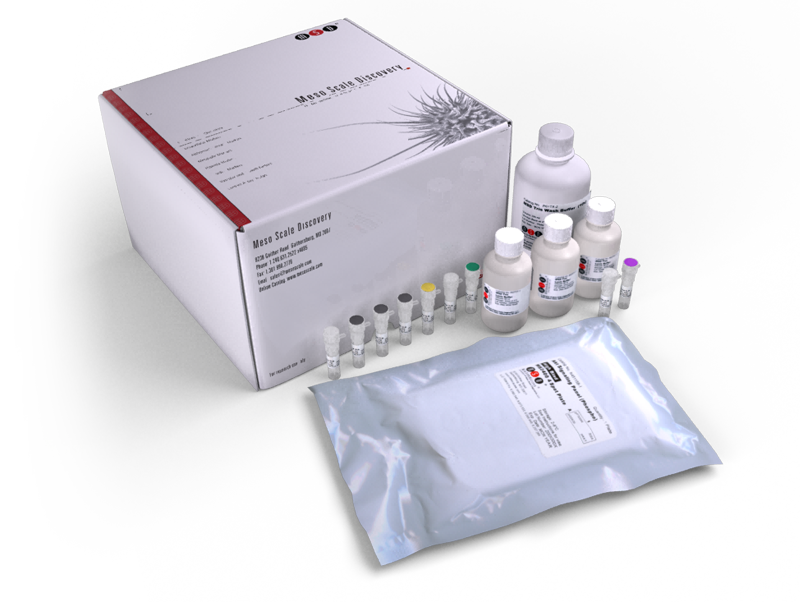 The Kidney Injury Panel 5 (human) Kit provides the assay-specific components for the quantitative determination of albumin, beta-2 microglobulin (B2M), cystatin C, epidermal growth factor (EGF), neutrophil gelatinase-associated lipocalin (NGAL/Lipocalin-2), osteopontin (OPN), and uromodulin (UMOD) in human urine. Secretion of albumin into the urine can indicate kidney damage. An elevated level of B2M is associated with glomerular injury and renal tube damage. Cystatin C is a more sensitive measure of glomerular filtration rate than creatinine clearance. EGF is downregulated in children with renal parenchyma and is a biomarker of tubulointerstitial damage in human obstructive nephropathy. The level of EGF increases in ischemic acute renal failure. Elevated NGAL/lipocalin-2 levels have been observed in patients with established renal failure. OPN is overexpressed in a variety of cancers and in patients with nephritis and acute kidney injury. UMOD is the most abundant protein in normal, healthy urine. Increased expression of UMOD can cause it to leak into the renal interstitium resulting in the recruitment and stimulation of immune response causing inflammation and kidney damage.